We know the Code grants wisdom. Rebels and skeptics say, "No, the Code is bad and grants no wisdom." Yet the people who follow the Code keep their ships, while the people who disobey the Code lose their ships. Aren't those who obey the Code wise, since they keep their ships? What else but superior wisdom can explain this? One might say that they are only lucky. If so, the Code, at a minimum, grants good luck. So it's worthwhile in any case. Let's look at some carebears who were unwise and unlucky during the week of July 2nd @ 00:00 EVEtime through July 8th @ 23:59 EVEtime. ...who also happened to be her corpmates. It was all a clever ruse! Carebears, a corporation with a name like that is too good to be true. Awoxing is nearly extinct, but reverse-awoxing remains. Nightstalkyr's faith in her fellow corp members must've been shattered. Now she had to decide what to do next. She chose poorly. 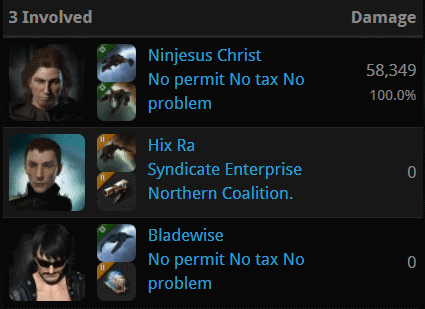 Over an hour later and still in the same system, Nightstalkyr boarded an even blingier ship and was ambushed by a larger group of her corpmates: Agents Ninjesus Christ, Krig Povelli, Bladewise, hellokittyonline, and Hix Ra. Good grief. Slave2Love became a slave to bot-aspirancy. The evidence was everywhere: Unfit jump freighter, no permit, entering the Uedama system--all the classic signs. It's a good thing she had her friends in the New Order to look out for her. An intervention was arranged by Agents GR13Fy, Lawrence Lawton, James Poddington, Hulk Poddington, Origo Lim, Captain Cortar, Mack Poddington, Skiff Poddington, Trump The King, FR13NDy, Tawny Rozei, Alluriana Lindi, Mephedrone, Cautiously Pessimistic, Cautiously Optimistic, Chlorpromazine, and Bob Pointer. 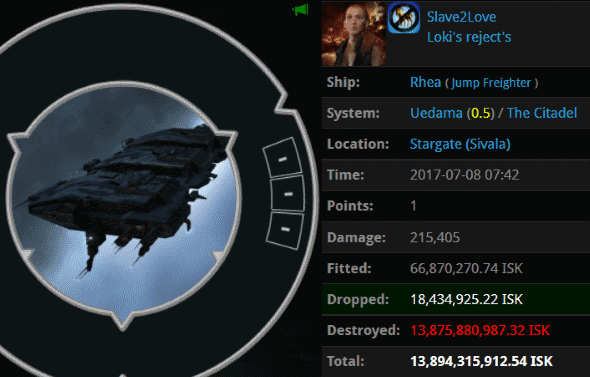 During the intervention, Slave2Love's 13.8 billion isk jump freighter was killed. What's worse than an unfit jump freighter? A jump freighter with a rack of ORE Expanded Cargoholds. 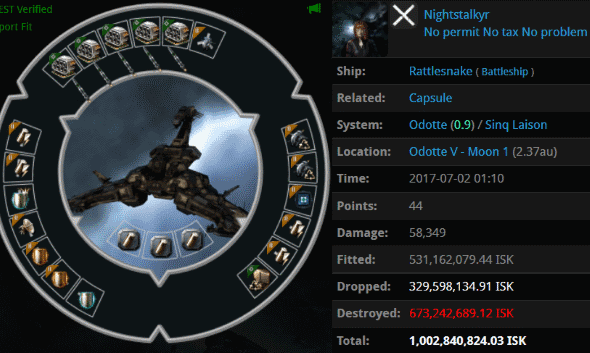 Yes, that's over 840 million isk worth of anti-tank modules. Matrix 101 ran into a Talos fleet that tore him to shreds: Agents AndroGon Navy, Nam Plau, KaMiKaDzExD, Narl' Amhar, Lovchi, tolstyk, Rachel O'Conor, Alarik Maleus, Bastian Mart, and Baboon Copper. 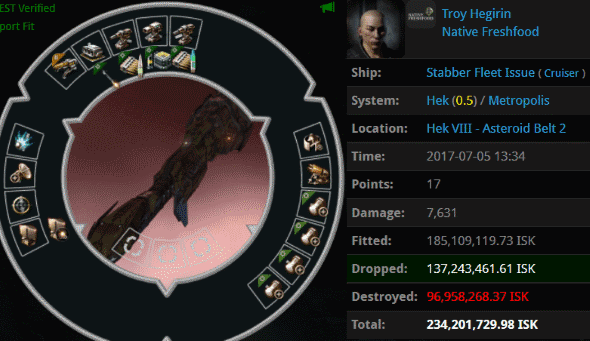 Matrix 101 lost over 23 billion isk, but just think of the value of all that combat experience! 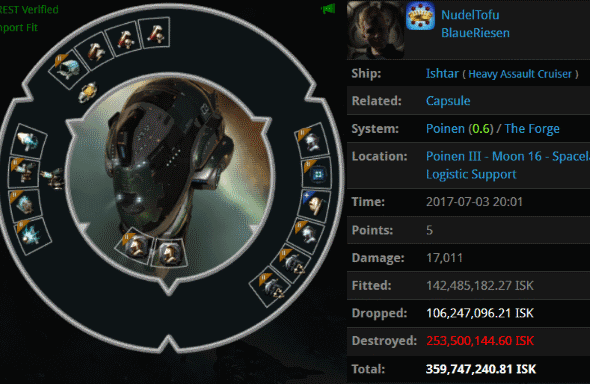 NudelTofu's Ishtar was destroyed by Agents Bladewise, Hix Ra, and Super Perforator. You might assume from the names of some of those Agents that NudelTofu was somehow tricked into CONCORDing himself, or that he was reverse-awoxed, or some other such thing. Not at all. In fact, it was the toll of war that got to him. The mighty CODE. alliance wardecced NudelTofu's corp. Enraged and uncertain who was responsible for the war, the carebear decided to lash out by activating kill rights on some shifty-looking station campers... who turned out to be Agents of the New Order. Some carebears are guilty of lacking a permit, while others commit even more egregious violations of the Code. Troy Hegirin's abuse of a perfectly good Stabber Fleet Issue hull was nothing less than an atrocity. The more you look at the fit, the more horrors you see. The good news: Shadow Cyrilus was an Agent of the New Order. That meant he was willing to take action to save highsec. 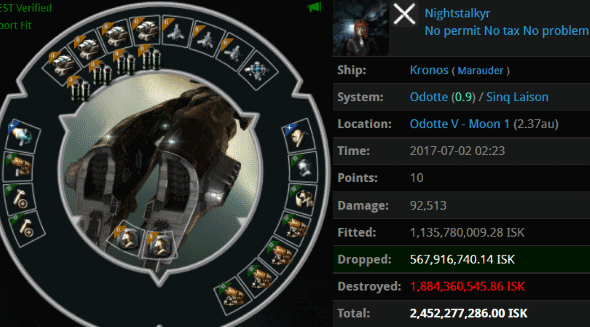 When he destroyed Troy's ship, all of empire space breathed a little sigh of relief. wow. is it really that time of week to show off to everyone how much failure antigankers really are? A post worth quoting. You have an admirer Wolf. Yup perfect for bot aspirant, its repeated constantly. Imitation is the sincerest form of flattery, after all. Sorry wolf I heard your kids have been taken away. But then again you did beat them for being AG. Wow, is it that time again that the old fossil has been ganker Wolf Soprano tries to relive old memories again. That fit is the product of a demented mind. Thank you to Agent Hegirin for deleting it. AH! Can someone PLEASE tell me what these three questions are? Hey Ehnea, have you found out who was the CODE. spy yet? Flying Pharoah, you mean I'm not the CODE. spy after all? After what I heard, I was almost convinced I was the spy! At this point I don't care. I wouldn't be surprised if CODE. has every miner thinking the other is the spy. Anonymous508PM screenie shots or you're blowing more hot air than a session of Parliament in Canada. The winner and still champ Ehnea Mehk.